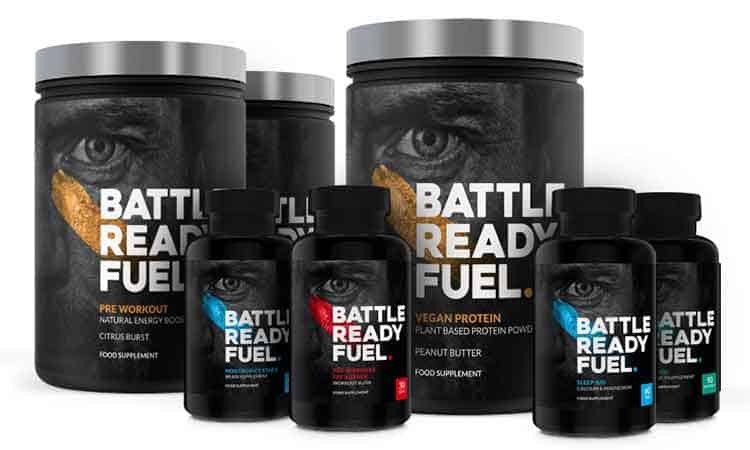 Battle Ready Fuel is a range of high-quality supplements designed to help bodybuilders, fitness enthusiasts, and ….just about anyone who wants self improvement to push past their mental, emotional, and physical barriers and achieve their personal goals. The range was developed under the close supervision of the ex-special forces operative and TV personality Ollie Ollerton, who rose to fame due to the prominent role he played in the UK based (Channel 4) TV series SAS: Who Dares Wins. All the supplements are manufactured in FDA approved facilities, so the production standards are incredibly high. In this Battle Ready Fuel review, we will provide an overview of the options available and exactly what they can do. Ollie Ollerton (scroll down for a full profile – it's worth it) is a man who is used to setting personal goals and then crashing through them. Since he left active duty he's been throwing his energy into projects that help other people to push forward, pass the barriers and obstacles that stand in their way and be the best they can be. 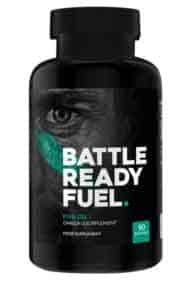 However, Battle Ready Fuel supplements are not designed to replace a healthy diet and training. They are made to be used alongside these things and have been specifically designed to help people explode to the next level and surpass their original aims and gain a greater sense of achievement and self-worth. Ollie was no lone soldier when it came to developing his range of supplements. He put together a top-notch unit of advisers to help him, all of whom are former members of the SAS, possess a similar level of knowledge and experience, and share his vision of wanting to give something back. Officers in the SAS and other similar elite fighting forces demand the best of themselves, their colleagues, and everyone around them. They are very focused to succeed. 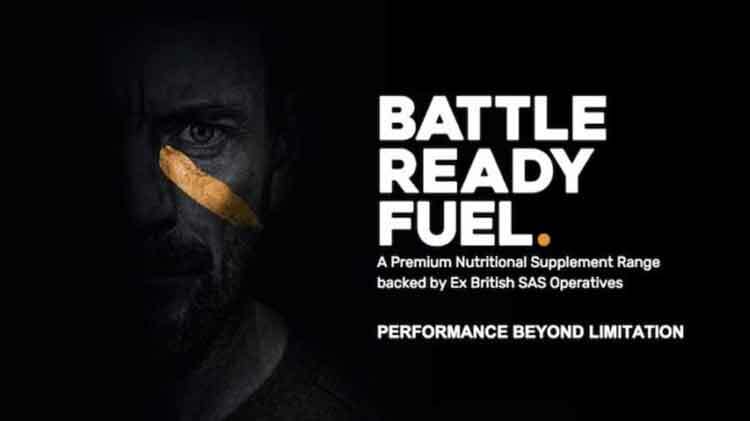 To accept anything less goes against the grain, so customers who buy items from the Battle Ready Fuel range can be sure they are buying a first-rate product that's designed to outperform and outmatch the competition—just like the SAS. One of the main things that set members of the SAS apart from other members of other military organizations, is the ability to push past personal barriers and get the job done. Battle Ready Fuel is designed to help other people to do the same so, if you've recently reached a plateau, mental block, or other barriers, now's a good time to pull out the big guns and GET BATTLE READY FUEL. Like the toughest army units, each item deemed good enough to bear the name Battle Ready Fuel can work well with its brand partners yet is strong enough to go it alone. This isn't just creatine. It's creatine that's had a tough makeover—SAS style. If you want to push your muscle-building abilities as far as they can go, this is the best creatine to help you do it. It's fast, provides long-lasting results, and mind-blowing muscle pumps. And while you are sleeping, it will still be working hard in stealth mode packing on extra muscle mass. Other benefits will include, improved physical endurance and performance, increased muscle size and strength. A powerful blend of Branched Chain Amino Acids, including Leucine, Isoleucine, and Valine. Working together this amino acid top-squad has been specially designed to take protein synthesis to the next level and boost muscle growth. Battle Ready Fuel BCAA also reduces muscle fatigue and improves post-workout recovery rates and, if you are not a meat-eater, don't worry. 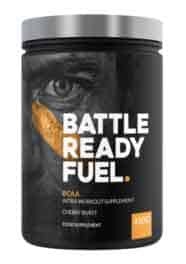 Battle Ready Fuel BCAA is 100% Vegan and Vegetarian-friendly. Omega-3 fatty acids are essential for good health. That's why so many doctors are saying you need to get more in your diet. It's also the reason behind the emergence of so many Omega-3 enriched foods. Battle Ready Fuel Fish oil is better than other oils of this nature because it only contains Omega-3 taken from the purest sources. That means you need not lay awake at night worrying about mercury or any other potential marine-derived contaminants. Battle Ready Fuel Fish Oil benefits include reduced risk of type-2 diabetes, stroke, or heart disease. Improvements to the memory and mood, and increased cognitive performance. Omega-3 also boosts muscle growth and encourages fat loss. A powerful natural fat burner that delivers an unstoppable burst of powerful metabolism boosters and thermogens, including citrus aurantium and garcinia cambogia. It also includes a dose of niacin to stimulate human growth hormone (HGH) release and vasodilation to help you to train harder and be your best no matter how tired you are. While this is going on in the background, more noticeable benefits will include, the ability to workout harder and longer, improved energy and focus. You may not see the increased fat burning while it is happening, but you will see plenty of evidence when you step on the scales. If you thought collagen was just a “beauty thing”, think again. 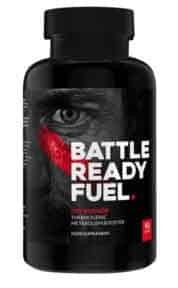 Battle Ready Fuel Liquid Collagen is dynamite when it comes to helping your body recover from intense exercise. It contains a specially-selected mix of BCAAs and high collagen protein concentrate that provides improved joint health and muscle mass and will take all of the pain out of your post-workout recovery time. If your aches and pains are holding you back, now's the time to do something about it. Many modern foods aren't as nutrient-rich as they would have been several decades ago. It's one of the unseen costs of faster modern farming techniques. To make matters worse it's very easy to lose vitamins and minerals from the body. When the body is robbed of vitamins and minerals, it is unable to function at peak capacity. That's why Ollie and his guys came up with the powerful product they call Battle Ready Fuel. It contains a special blend of 12 vitamins and 13 minerals that will help keep your mind and body in top form. Having a strong fit body means nothing if the mind lacks focus and drive and cognitive abilities have been suppressed. That's why you need to be thinking “Battle Ready Fuel Nootropics”. This brain-boosting formulation of natural ingredients will help you focus harder during training or learning activities, remember more, multitask with increased efficiency, communicate better, and generally be the best you can be on an intellectual level. If you want to train with more intensity, meet your new wingman. It's called Battle Ready Fuel Pre-Workout and it will give you more focus and enable to workout like you never have before. 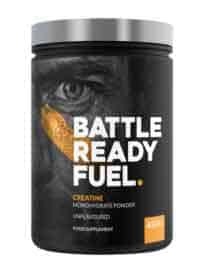 When working out harder becomes easier, and pushing past your limits is the new norm, get ready for explosive results and the formulation's built-in fat burning capabilities makes Battle Ready Fuel Pre-Workout the perfect choice for anyone who wants to look more cut without losing any muscle in the process. If you are already thinking this looks like an awesome range of products, you ain't seen nothing yet. Ollie and his guys have been working hard on this project and, whatever your needs, they've come up with a supplement that's got your back. Other items in the range include. This is an impressive range of products and no mistake, and word has it, there will be a few new recruits in the future. Let's be honest though. None of them should be seen as a substitute for hard work. They're intended to take a good thing and make it better. You wouldn't try and run a Ferrari on regular. Doesn't your body deserve the premium treatment too? 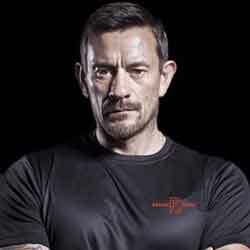 Matthew ‘Ollie‘ Ollerton is a former Special Forces soldier who is probably best known for his involvement in the Channel 4 TV show SAS: Who Dares Wins. Ollerton began his military career when he was 18-years-old and enlisted with the Royal Marine Commandos. As well as being a Northern Ireland veteran, he toured operationally in Operation Desert Storm in Iraq. After completing five years of service with the Commandos, Ollerton was recommended for SAS Special Forces Selection. The British Special Boat Service is one of the most elite special forces divisions in the world and the special forces units in many other countries utilize a military model based upon it. Needless to say, the training is tough and, out of the 250 men who began the rigorous six-month selection process, Ollerton was one of only five candidates who made the cut. During his time with the Special Boat Service, Ollerton became a specialist in several different areas including maritime counter-terrorism and mountain warfare. At times, he was required to be a bodyguard for VIPs and also has experience piloting a mini-submarine; so it's pretty fair to say he's a man who has an unusually far-reaching level of military expertise. After completing his tour of duty, Ollerton stayed on in Iraq for a further five years and became the Country Manager supporting the infrastructure rebuilds. He left the Middle East in 2008 and began travelling South East Asia, initially working first as a security consultant. He later took up a position with a non-profit organization working to prevent child prostitution and slavery. To this day, his time with the organization remains the work he is most proud of. In May 2015, Ollerton accepted Channel 4's offer of a role in their army-style reality TV show SAS: Who Dares Wins. The show aired on prime-time TV five months later. It proved to be such a big hit with viewers a second series was scheduled the following year. The series has been nominated for a number of awards and its success has resulted in it being picked up and aired by TV networks all over the world. Although there is talk of of third series of SAS: Who Dares Wins, it could be that Ollerton may be too busy to be involved.